One of my earliest memories is of when I was five years old and unfortunately it isn’t a happy memory. I vividly remember my mom setting me up on top of the washing machine and telling me that my grandfather had passed away. Her father. Growing up I never really thought of not having a grandfather. My dad’s dad was still alive when I was young, but my dad is the second youngest of eight so by the time I could really remember he was elderly and his health was failing. However, now that I have my own children I often wonder what it would have been like to have a grandfather that was active in my life. Luckily my two girls (and subsequently my brother’s two boys) are able to experience this joy. My dad is very active in their lives and we love him for it. 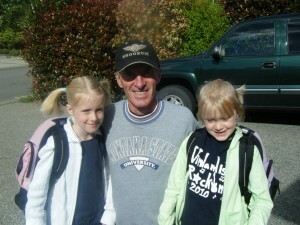 He is the only grandfather the girls have since they don’t know their paternal grandfather. We are lucky that my mom and dad only live two states away…a relatively easy drive, an easy flight. We are lucky that we get to see them at least every 4 months or so and that the girls get to spend quality time with their Papa. 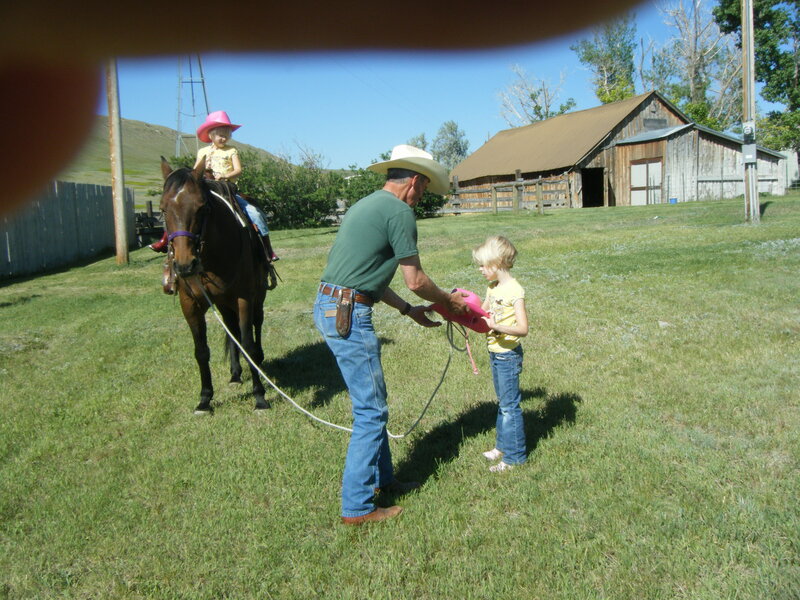 Papa is a cowboy and when we go to Montana the girls enjoy riding horses, helping feed the cows, and attending “Nana and Papa Horse and Cow Camp”…by themselves…for a whole week. Papa is handy. Whenever he comes to visit us we have a “Papa Do” list at the ready. 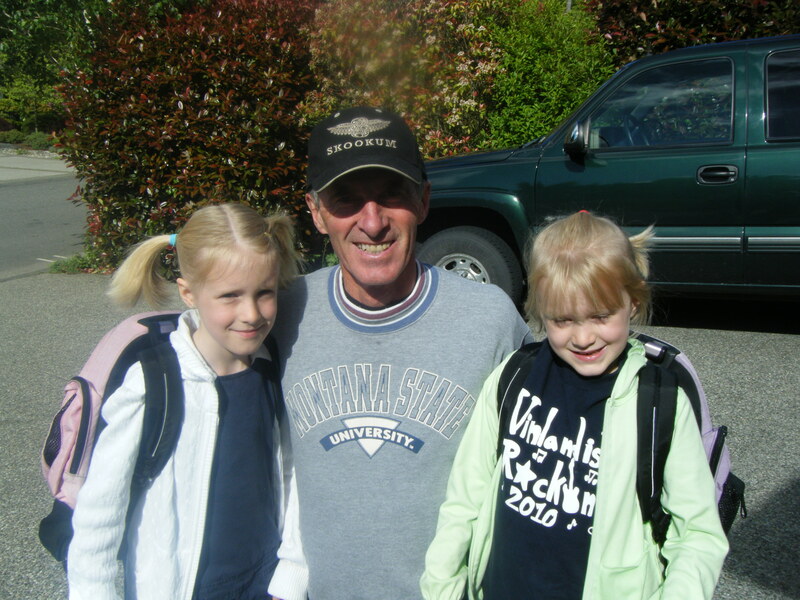 Papa loves his girls…the grown up one and the still growing ones. 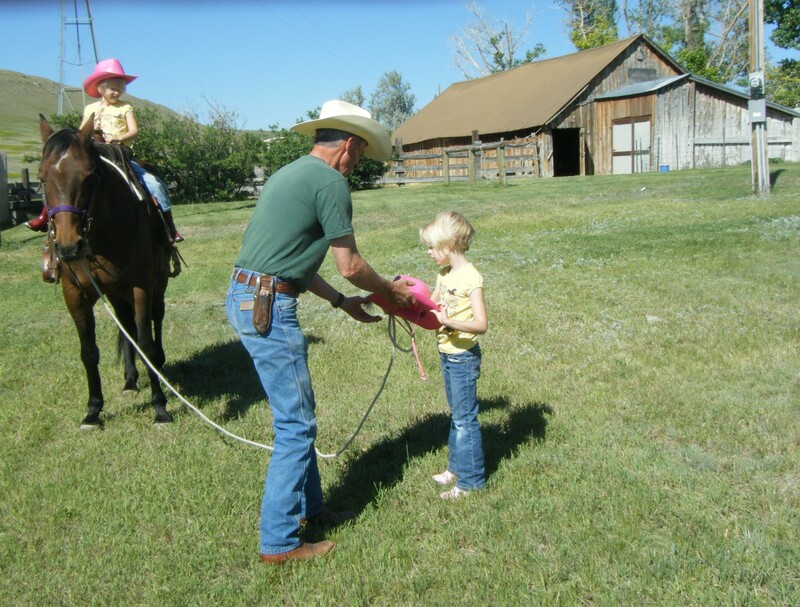 Papa is creating memories with my girls that I didn’t get to have and for that I will be forever grateful.